Detection/ sniffer dog training – I can be booked for educational engagements ranging from private lessons to workshops and coaching. Tell me what serves you best and we will work together to meet your unique needs. 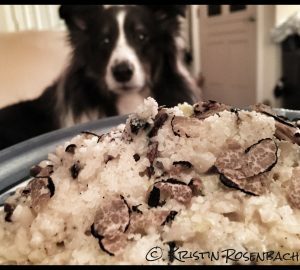 Truffle harvesting for private landowners – If you have truffle producing land, my truffle dogs and I can harvest product for you. You have the choice of keeping the truffles, donating them to the Noses for Nonprofits project or accepting a land use fee for truffle hunting on your property. 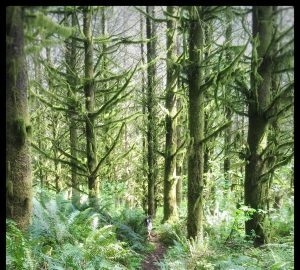 If you suspect you have truffles on your property near Arlington, WA, a discovery visit can be arranged to assess potential truffle production. Are you a chef or a nonprofit hosting a benefit dinner? Are you a blogger or social media influencer? Are you a professional detection/ sniffer dog handler or know someone who is? I’d love to work with you! Do you have a project idea related to dogs, food or environmental stewardship that we can work on together? I’d love to hear about it! Are you a dog trainer who wants to bring truffle dog training to your students? I have an extensive background in curriculum development having created curricula for high school and community college programs as well as multiple online classrooms. I’ll coach you through the process of defining your unique and comprehensive teaching program. 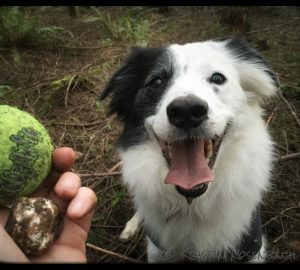 Many of the truffles my dogs find are used in Noses for Nonprofits and other creative collaborations but I do occasionally have a surplus. Due to limited quantities, truffles are offered to interested clients who I have an established relationship with. If you are interested in forming a relationship with me and having the opportunity to buy truffles when we have extra, let’s talk! We take an unconventional approach to our truffle sales. Truffles are sold directly from the field and are not processed. That means they are dirty! This saves you money and does not require us to have a commercial kitchen. We prefer that clients pick up their truffles in Arlington, WA (lowest cost to you). Deliveries may be arranged for an additional fee. Contact me using the form below! Serious inquiries only, please. What are you inquiring about? (required) I'm interested in teaching my dog to do this. I am a landowner interested in harvesting services. 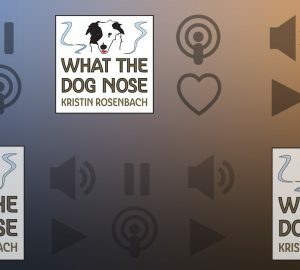 I want to get involved in Noses for Nonprofits. I have great idea! Let's collaborate on a project! 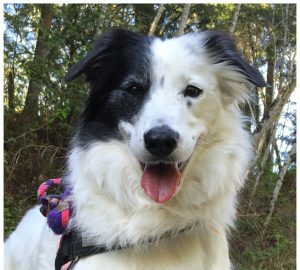 I am a dog trainer and would like help developing my own truffle dog training program. I would like to know when you have a surplus of truffles I can buy.